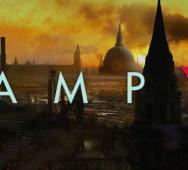 New action horror video game Vampyr from Dontnod studio looks visually a lot like the same engine was used as the Call of Cthulu‘s recent E3 trailer. A Doctor Jonathan Reid struggles in the early 20th century to control his bloodthirsty urges. Vampyr is set for a 2017 release date for the Playstation 4 (PS4), Xbox One, and PC. 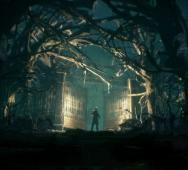 Focus Home Interactive revealed their game trailer for Call of Cthulu based on H.P. Lovecraft‘s stories by Cyanide Studio (Game of Thrones, Blood Bowl, Styx: Master of Shadows). This game will take place on Darkwater Island and is set for a 2017 release on the Playstation 4 (PS4), Xbox One, and PC. Protagonist Edward Pierce, a former veteran who is now a private investigator, is tasked with investigating the terrible and mystifying death of Sarah Hawkins and her family at their mansion in the creepy Darkwater Island. 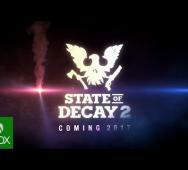 Microsoft also revealed their State of Decay 2 announce trailer. State of Decay 2 will be a Xbox One and Windows 10 PC exclusive set to release in 2017. Visually, vast improvements have been made for this generation hardware, and there is a more detailed representation of what the survivors are doing at camp to contribute in what feels like a more Fallout 4 looking aspect. In the end, we see a survivor getting overwhelmed and then he pulls out his flare gun to signal any nearby zombie survivors for help. 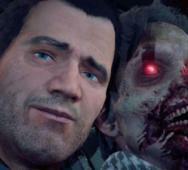 Frank West will return to the Dead Rising franchise in late 2016 with Microsoft and Capcom‘s Dead Rising 4. Dead Rising 4 will be a Xbox One and Windows 10 PC release. This trailer promises more of what we loved with the Dead Rising 3 game with further enhancements to the visuals and even crazier weapon mods and vehicle mods. The zombies on the screen appear in even greater numbers than ever before seen! Watch till the end of the video for a hilarious Frank West selfie and fantastic Christmas “zombie” tree lighting. 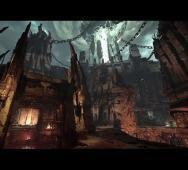 Bethesda also released at E3 2016 upcoming plans to enhance DOOM even further with (free) construction modules via DOOM SnapMap, new modes and functionality, a premium DOOM DLC titled “Unto The Evil” with new multiplayer maps and further enhancements to the gameplay. Sound confusing, watch the video as Id Software executive producer Marty Stratton delivers all these details far better than I can list them. Bethesda released their Prey reveal trailer, and that was welcomed warmly with a lot of excitement. The visuals are nothing short of astounding. President of Arkane Studios, Raphael Colantonio had the pleasure of revealing the trailer to the audience. We have waited for a follow-up to the 2006 Prey and finally have something to see. More will be revealed at the QuakeCon being held this August 2016 in Dallas. Our main character wakes up in the year 2032 and is experiencing some kind of Groundhog Day experience after some experiment. 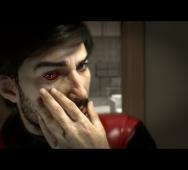 Prey will release sometime in 2017 for the Playstation 4 (PS4), Xbox One, and PC. Bethesda released the reveal trailer for Quake Champions, and it was glorious. Not sure how many of you grew up playing the Quake series but it was a terrific game. 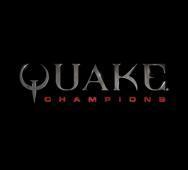 Id Software will treat Quake Champions as an eSport and will host competitive tournament and leagues past the upcoming QuakeCon this August 2016 in Dallas. Tell us what you think of this trailer below and share a little about any memories of playing this game. Telltale Publishing‘s new horror video game 7 Days to Die releases for the Playstation 4 (PS4) and Xbox One on June 28, 2016. 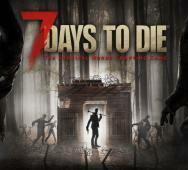 7 Days to Die looks like it has merged the same game mechanics from DayZ with a bit of action from State of Decay. Not that that is a bad thing but just an observation. 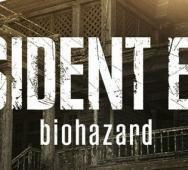 Watch this trailer from E3 2016 because this game shows some promise as a good zombie survival game for 2016. Telltale Games has revealed the trailer for The Walking Dead - The Telltale Series Season 3. This trailer is released ahead of the E3 2016 event held this Tuesday, June 14, 2016. Season 3 of The Walking Dead - The Telltale Series features an older Clementine missing a finger too, her new friend Javier and a ravenous zombie with its fresh kill. This new installment will premiere this Fall 2016. Telltale’s Job Stauffer and Laura Perusco stated that this time around you will be able to play as both Clementine and Javier. The opening sequence for Batman: Arkham Knight was revealed at Sony’s E3 2015 and along with that was the fate of The Joker. 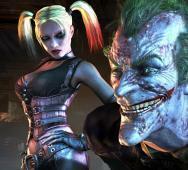 The cinematic shows what happens with The Joker and throws in a bit about “This.. is how it happens. This is how the Batman DIES!” Game developer Rocksteady shows some amazing visual graphics and the story seems extremely deep and riddled with twists. We get to experience a very scary Scarecrow hallucination, enjoy. Batman: Arkham Knight releases on June 23, 2015 for the PlayStation 4 (PS4), Xbox One and PC. The Walking Dead: Michonne - A Telltale Games Mini-Series Confirmed at E3 2015! 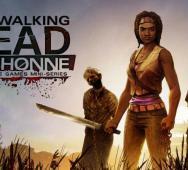 Do you think Michonne will make a great lead character in the new The Walking Dead Game, Telltale Games thinks so. It was confirmed at E3 2015 that Michonne will get her own The Walking Dead game titled The Walking Dead: Michonne - A Telltale Games Mini-Series. Yes, a mini-series is planned and scheduled around Michonne. 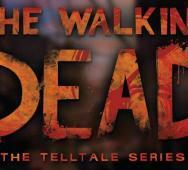 This mini-series game will cover issues #126 and #139 from The Walking Dead comic book series. Find out why Michonne left her group and the events that transpired during and after. A Fall 2015 release date is expected for the Playstation 4 (PS4), Playstation 3 (PS3), XBox One, XBox 360 and PC. Microsoft revealed the latest Dark Souls III trailer from developer From Software at E3 2015. Dark Souls III (Dark Souls 3) will be released Spring 2016 so we have a lot of time to be teased by more upcoming promos. No actual gameplay in this trailer but the cinematics are awesomely fantastic. We do see a crown, I am assuming this is the crown from the last Dark Souls II DLC, could be wrong. I love the last few seconds of this game trailer where we see a massive giant rise up and give a massive roar. 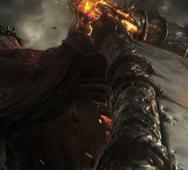 Dark Souls III looks very promising and even more epic than before. Fact: Is Microsoft Buying Silent Hills? So Phil Spencer, the head of Xbox from Microsoft has tweeted the final verdict on the rumors floating the internet that Microsoft is buying the Silent Hill franchise and Silent Hills game from Konami. The final answer is… NO! Microsoft is NOT purchasing Silent Hills nor the Silent Hill franchise from Konami. We will not see the Xbox One exclusive title nor will we see Guillermo Del Toro and Hideo Kojima‘s horror vision come to life with Norman Reedus. Looks like Silent Hills will not be showcased at E3 2015… unless Sony purchases it as a Playstation 4 (PS4) fast but that is only speculation too. This is sad news because I like the Silent Hill franchise a lot and it looks seemingly dead now. Long live Silent Hill to every horror game fan! Microsoft to Save Silent Hills IP From Konami!? 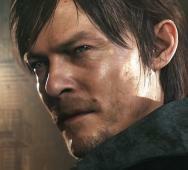 Microsoft is making moves to purchase Silent Hills from Konami for an Xbox One exclusive. Microsoft is trying to close the deal officially before E3 2015 so they can make it a major reveal at the event. To make matters even better, Silent Hills is said to be about 80% done and may release as early as March 2016. If this is all true, it would be great to have Guillermo Del Toro and Hideo Kojima reunite once more to complete the final 20% of the game which I believe should only be in the polishing phase anyway at this point. Are you ready to see Norman Reedus in Silent Hills?